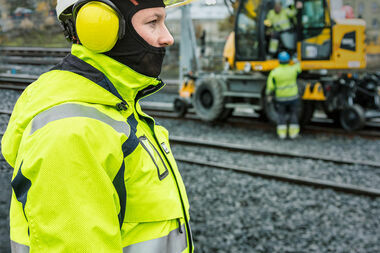 Wenaas has extensive experience and superior competence in workwear for this sector. On the basis of our own experience and input from our users, we have now developed a craftsman collection that covers multiple needs and a variety of work patterns – involving different ergonomic solutions and material selections – resulting in improved comfort, improved durability and improved work efficiency. Our work trousers for craftsmen are tough yet comfortable, and are available in standard leg length or customised, if required. The work trousers for craftsmen have good durability and comfort, and can be delivered in standard leg length or adjusted if desired. The collection is made of 100% cotton with improved durability, or in a polyester/cotton mix, both in 350 g/m2. All wearing points are reinforced with Cordura to improve the lifetime of the garment as a whole. Trousers are delivered in standard lengths, with the option to extend the legs by removing the blue seam at the bottom end. If you require a shorter leg length, please state this when ordering. One size system, one item number – easy to find your size. The trousers feature wedge-shaped reinforcement at the groin, which improves both durability and comfort. The vest features netting in the back – to provide good ventilation – and implemented in the midsection to allow width adjustment. The jackets have soft microfleece lining on the inside of the collar, and an extended back section. 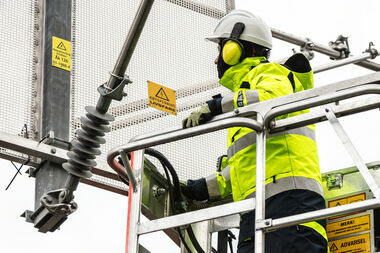 Wenaas supplies protection equipment to users with extreme needs for safety: oil and gas, fire and rescue, construction, power plants and the energy industry. 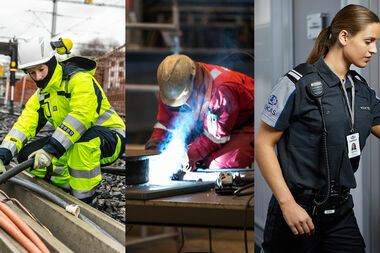 Wenaas delivers work clothes for men and women, as well as personal protective equipment for sectors with extremely high safety requirements.